With over 5 years’ experience in the fashion and retail industry, HJC Styling is your one stop shop for professional and impartial fashion styling advice. We aim to take affordable personal styling to the masses and ensure our clients feel comfortable, confident and fabulous. From styling fashion shoots to styling commercial material, working on fashion shows and styling individual clients; Hayley works tirelessly to ensure her clients are delighted with the service delivered, assisting both individuals and commercial businesses in the form of fashion consultations or hands on help. 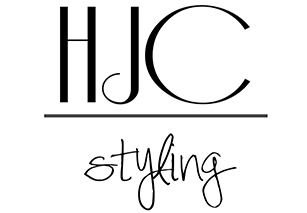 Whether you need a quick fix or a more long-term fashion styling solution, HJC Styling will ensure all clients are treated with their personal requirements in mind. We endeavour to give clients the best possible styling experience and advice whilst remaining both professional and understanding. Here at HJC Styling we know how much of a drag the dreaded shopping trip can be! With brands offering hundreds of different styles and not to mention the sizes ; shopping can become a bit of a fashion minefield! Why not take the hassle out and have some fun! This consultation will allow clients to have a seamless shopping experience. Our stylists will be on hand to give you personal advice on cuts and colours as well as pick out some key outfits for you to try. We will also ensure that there are products waiting for you to try on based on your client profile which means less time spent in changing rooms! I had an excellent colour consultation with Hayley. Some things I knew, some things I really didn’t know and some things completely surprised me. I’m looking forward to putting it all to good use and probably saving myself alot of time and money in the long run! I had the pleasure of working on a shoot recently with Hayley and this was the first time i have met her. I found her an absolute joy to work with and her bubbly personality made for great fun on set. All the clothing provided was incredible and so fitting for the theme of the shoot and presented in such a professional manner. This stylist truly has a passion for all things fashion and this is evident in her work. Given the chance I would love to work with Hayley again she is truly one too watch ! Great afternoon out shopping with Hayley bought lots of new things that I might never have tried on if I was on my own, worn 2 of the new outfits already and loved them. Hayley helped me with organising an outfit for my friends wedding. She was a absolutely fantastic by suggesting colours, fabrics and accessories that would work with my outfit and stopped me from playing it super safe. She gave me honest opinions and suggested things I wouldn’t have even thought of – I couldn’t have been happier with how the outfit looked on the day! Spent a great afternoon with Hayley today buying new work clothes. Hayley guided me with colours and cuts that suit my skin tone and shape and I’ve come home with some beautiful clothes that I would never have picked off the rails myself. Highly recommended! Just finished a 2 day shoot with the lovely Hayley and what a fantastic stylist she is! Massive attention to detail and always worked so closely with me to make sure lipstick and other make up tones worked in well. Highly recommended. I’ve worked with Hayley on a few magazine photo shoots now, her styling skills are incredible! Every shoot has been perfect due to her creative flair and professional work ethic. I opted for the online consultation as i’m pretty busy & wouldn’t have time to meet her & go shopping etc. Price point for this was only £25 which i thought was more than reasonable! Hayley replied to me within the day with info on the online consultation & a client info form she needed me to fill in! I completed this the following day & sent in the pictures she asked from me & confirmed my budget. Within 2 days i had an email from Hayley with sooo much info & 4 outfit choices that were all available online & within budget! She offered to tweek anything i wasn’t sure of & i then got a replacement outfit sent to me again within a day or so! The information i got from Hayley including my bodyshape & what to do to enhance my figure & skin tone along with the selection of outfits has been amazing! I’ve literally told everyone i know about her & i know a few will be getting intouch! Since my recent colour consultation with Hayley I have become a lot more confident in choosing clothing items that flatter my figure and skin tone. I would highly recommend Hayley to anyone stuck in a wardrobe or style rut like myself and I’ll 100% be using Hayley again in the future. I Had my colours and body shape session with her today, learnt about what colours best suit my skin tone and what clothes shapes are best for my body. Loved it and has definitely broadened what I’ll shop for now! We hired Hayley for a commercial campaign for an STV ad and she was a delight to work with. Most details were confirmed last minute, with very specific styles and summer looks in mind. Hayley was very professional, calm under tight deadlines, informative, highly organised and understood the brief completely. She was positive that she could source the looks required for summer even though it was January and delivered exactly what the client had in mind. I would not hesitate to work with her again and would happily recommend any other production team to work with Hayley! Now time to sort my summer wardrobe! Received a styling pack from hayley and I absolutely love it! It has giving me a lot of ideas from colours to shapes that I would never have picked out myself before but since choosing items while keeping her styling pack handy it has helped boost my confidence levels as i am now wearing outfits that highlight all my good bits instead of hiding them. Thanks again hayley, I highly recommend getting one done as it is amazing what small changes can do to your figure and confidence! I had the pleasure of working on a shoot recently with Hayley and this was the first time i have met her. I found her an absolute joy to work with and her bubbly personality made for great fun on set. All the clothing provided was incredible and so fitting for the theme of the shoot and presented in such a professional manner. This stylist truly has a passion for all things fashion and this is evident in her work. Given the chance I would love to work with Hayley again she is truly one too watch!